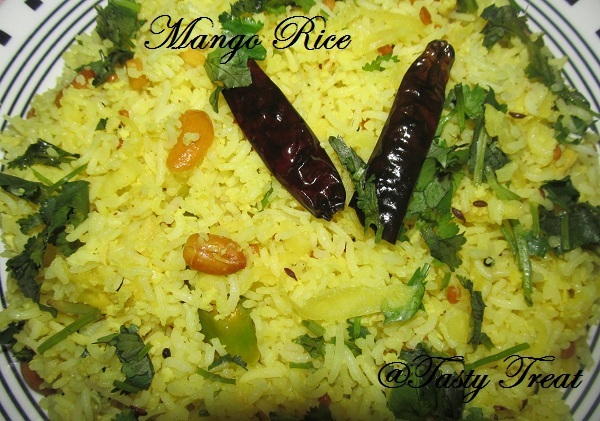 Mangoes are the most prevalent fruits in summers.Mostly everyone love to have this thick fruit or use this tangy raw mango in curries .But,how about a tangy flavourful rice using mango.Its a very simple recipe and a nice twist to the usual plain rice.It can be served with a creamy side dish.I had prepared it for the first time and I should say it tasted almost like lemon rice and there were bits of the grated mango to munch in between.I also added grated coconut to make it more tasty ,you may omit that step to taste the simple flavourful mango rice. Wash and rinse basmati and soak it in water for 20 minutes. Cook the rice in an open vessel for 10 minutes or till 3/4 coooked. Heat oil in a kadai and fry the red dried chillies. Then,add the urad dal,chana dal ,groundnuts and fry for a minute. Now add the grated mango ,cover and cook for 5 minutes. Add the coconut and fry for 2 minutes. Add the asafoetida powder,turmeric powder and toss. Add the salt and mix the rice. 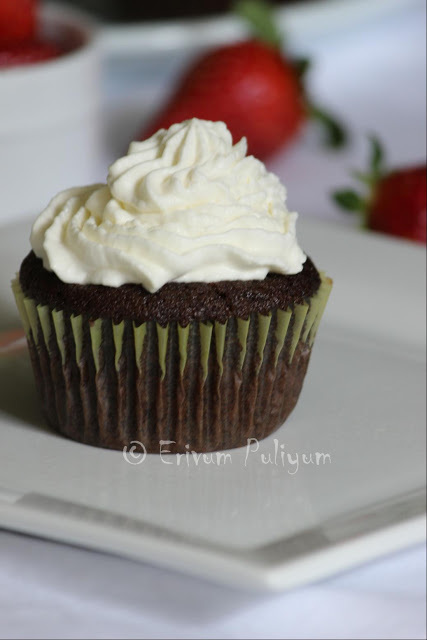 Steam the mix and garnish with cilantro/ coriander leaves. 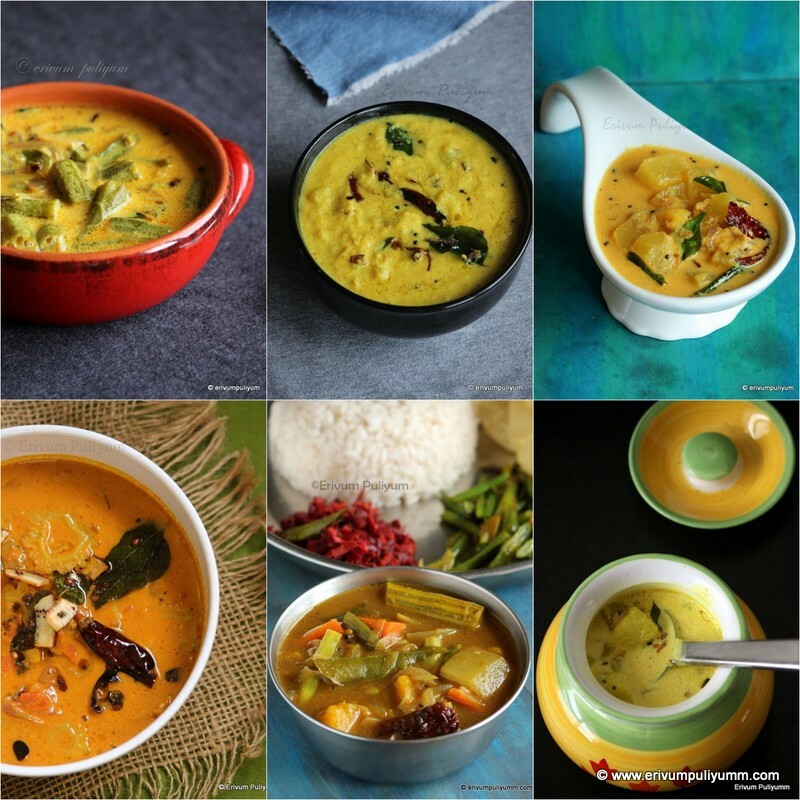 Serve hot with any butter masala. 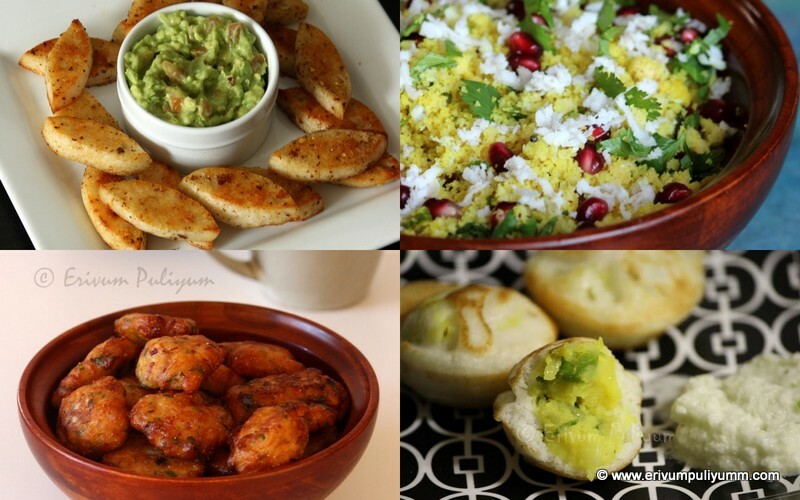 - You can add 1tsp of pepper powder to make it more spicy,if desired. mango rice looks yummy...first time here...following you now, hope u will too..
Mango rice looks to be great looking meal . Excellent preparation. Thanx for your quick responses..love to hear from all.. I too love this and make it oftne! I can almost smell the fragrance of this lovely pulao. 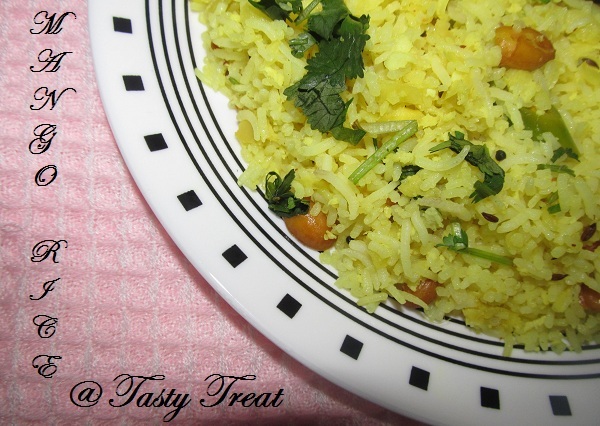 Mango & rice - what a brilliant combination - have never tried this, but bookmarked for sure! The mango rice looks so very tempting..liked the colour and the separate individual grains of rice with the tadka that is so inviting. Beautiful presentation and looks so yum! Lovely presentation,looks so delicious and tempting mango rice. Thank u guys..your comments are my inspiration for a better post tomorrow..